HOW TO COPE WITH 50 STUDENTS ON A FIELD TRIP? Learning experiences outside the classroom are always unique and provide deep learning when students put into practice “in the real world” what they have theorized about from behind a desk. Students of today are not that familiar with field trips anymore as they spend they days indoors much more than their parents did when they were young. Teaching in the field gives students the opportunity to see the world differently and they can enhance deep, active learning. But what are the biggest challenges school teachers face in organizing field trips of today? 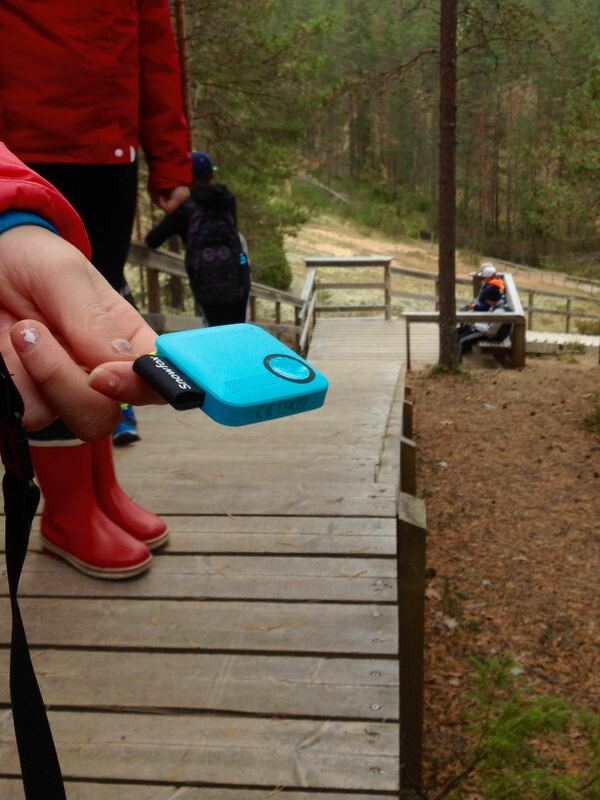 With Snowfox Trackerphone we participated in one field trip of 11 year olds, organized by Hönttämäki elementary school in Oulu, Finland. The school organized a two day field trip of 50 students to Rokua geopark, where they did some trekking and orienteering at the local forest and trails. It is the teacher who is ultimately responsible for the health, safety, and well-being of the students while on a school trip. Supervision on such trips provides its own unique set of challenges when the class sizes are high. That’s where Snowfox Trackerphone provided great assistance. The teachers were very pleased about the ease of use of Snowfox devices and application. They were able to see immediately when some students were left behind, and they were able to call them to hurry up when needed. Additionally, they didn’t need to worry about students getting lost or having smartphones distracting them. Instead, they were able to see their whereabouts in real time. In practice, they gave one Snowfox device for a pair of students which proved to be enough, the teachers having 14 trackers paired with one phone. With Snowfox Trackerphone it was easy to keep the groups together and the activities on track the whole time. At the end of the day it seemed students were more familiar with the technology than nature. But that’s where technology can really help – to bring nature back to young kids’ lives. Seamlessly but giving the necessary organizing support for the teachers and providing additional safety for the kids as well.